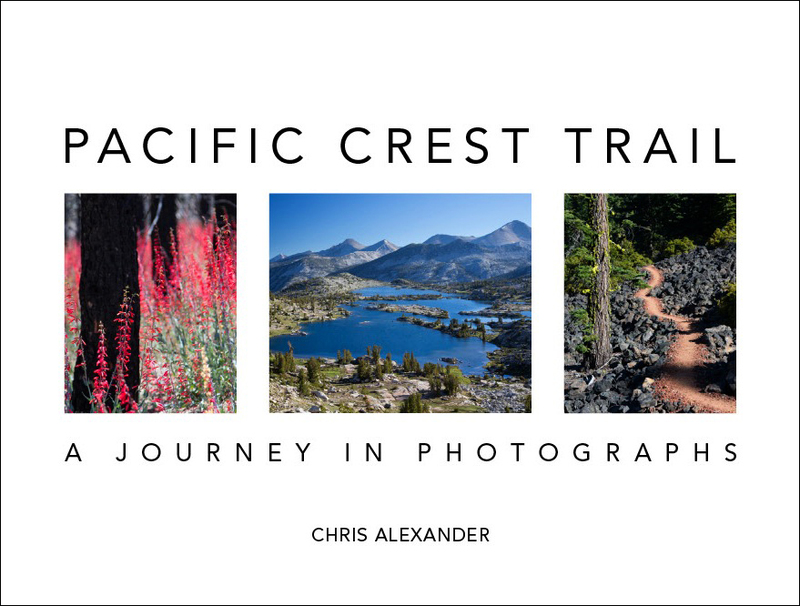 We figure the best way to train for thru-hiking the Pacific Crest Trail, is, surprise, surprise, to go backpacking. After checking out Salt Lake City and before heading to Fort Collins, we spent six days backpacking in Canyonlands National Park, in Utah. We covered almost the entire Needles District of the park, camping at Chesler Park 4, Elephant Canyon 1, Lost Canyon 1, Salt Creek 4, and Salt/Horse, and exploring several side trails as well. 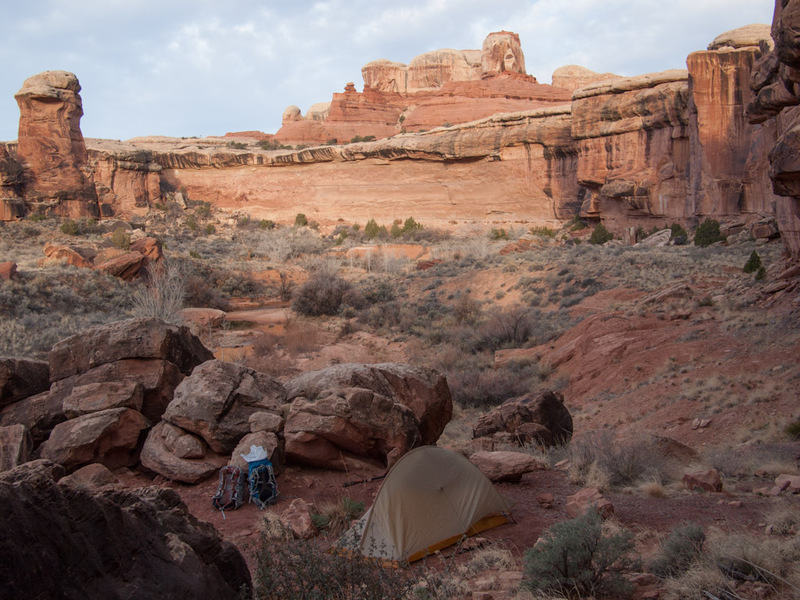 Canyonlands is one of the few completely silent places we’ve ever been. It is amazing, and a bit unsettling, to listen intently and hear absolutely nothing – no human sounds, no natural sounds – just utter silence. In a space devoid of sound, you begin to notice your breathing and your heartbeat. In the morning, the occasional bird call echoes through the canyons, which is quite beautiful as it breaks through silence and fades back into it. We didn’t encounter many other hikers here. For the most part, we had the massive, often otherworldly landscape all to ourselves. This added to the intensity of the experience, which was personal and powerful. 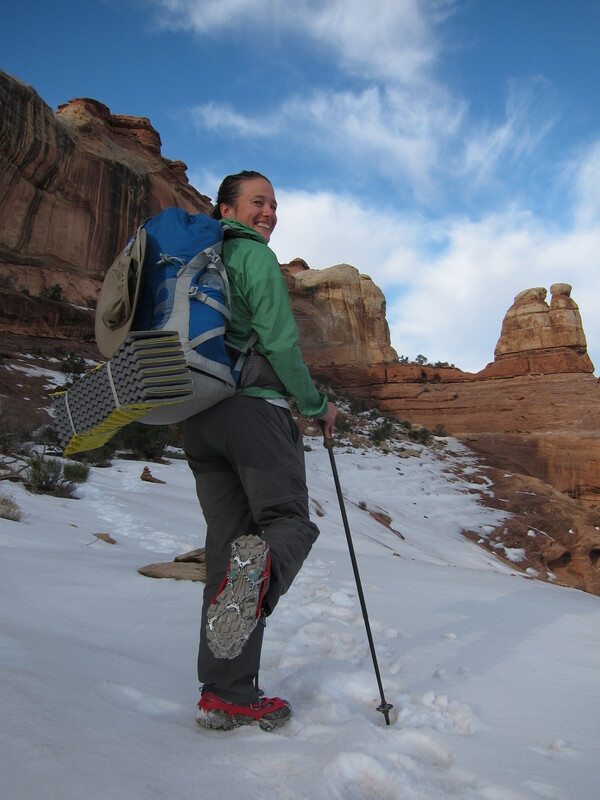 The trails in Canyonlands are much more physically challenging than they appear on a topo map. The difficulty is a result of the nature of the trail. Often the trail will pass over huge expanses of rock, and small rock piles called cairns mark the way. In order to stay on track, you need to constantly be looking for the next cairn and they sometimes make an unexpected turn, go up a cliff, or pass through a hole in the rock wall! Initially, it was alarming when the trail would turn down a steep rock face with no footholds. It appeared the rock was too steep to traverse. 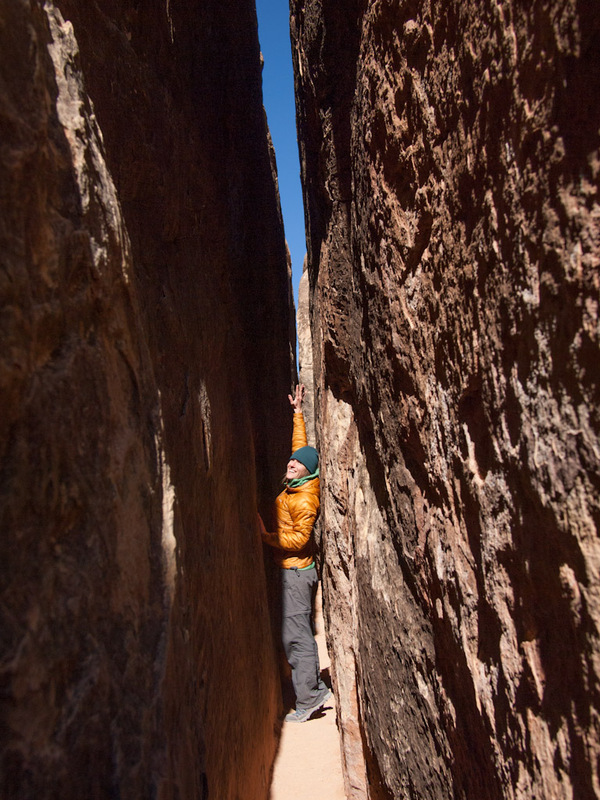 But the rock in Canyonlands is a form of sandstone called slickrock, which contrary to its name is incredibly grippy. 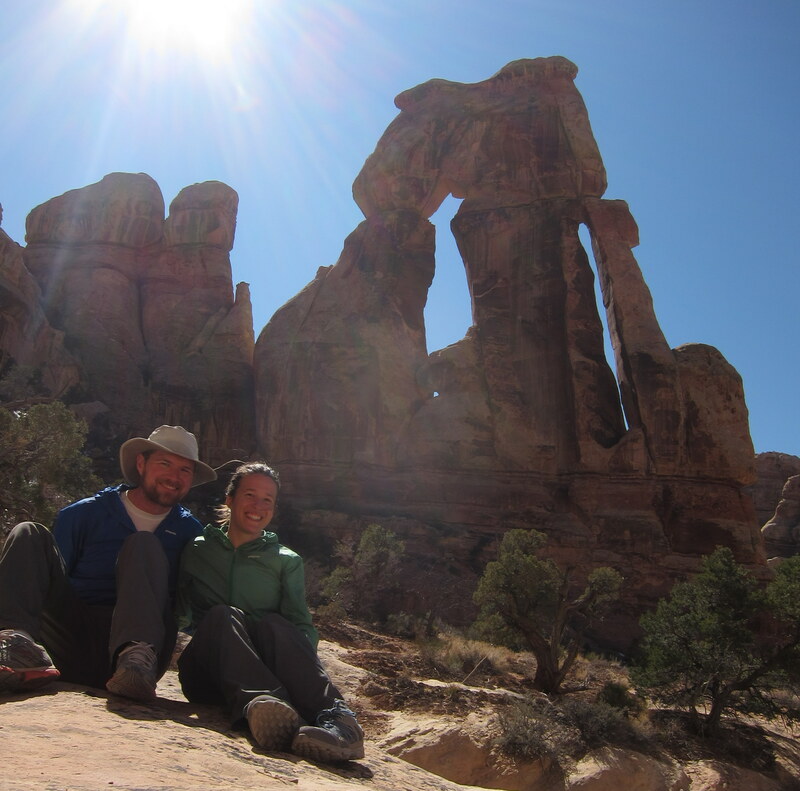 Once we became accustomed to the slickrock, we found ourselves walking at angles impossible on any other surface. Luckily on the completely vertical portions, the rangers were kind enough to install ladders or notched logs. Still, we felt like climbers rather than hikers on portions of this trip. A very steep section of trail in Canyonlands. The trail taunted us further with two stretches of exposed, sloping ice and snow covered rock. Fortunately we were prepared for this: we brought Microspikes. These are small metal spikes you can attach to the soles of your shoes, like the crampons climbers use, but smaller and lighter. This was our first time using Microspikes and they were great. We felt completely solid on the ice and snow mixture. In true Pacific Crest Trail training spirit, there were long waterless stretches. At one point we had to carry 1.5 days’ worth of water each, and boy was that heavy, especially when climbing up rocky passes.The lack of water is part of what makes this landscape so unique and beautiful though. The plants and animals surviving in Canyonlands have adapted various techniques to deal with water scarcity and the occasional torrential rain. Cottonwood trees grow long, wide root systems to soak up any water they can find, while prickly pear cacti store water internally during dry spells. The cryptobiotic soil is alive as well, its surface a crust formed by algae, fungi, lichens, and mosses. Cryptobiotic soil takes decades to form, so it’s important to stay on the trail to avoid disturbing it. 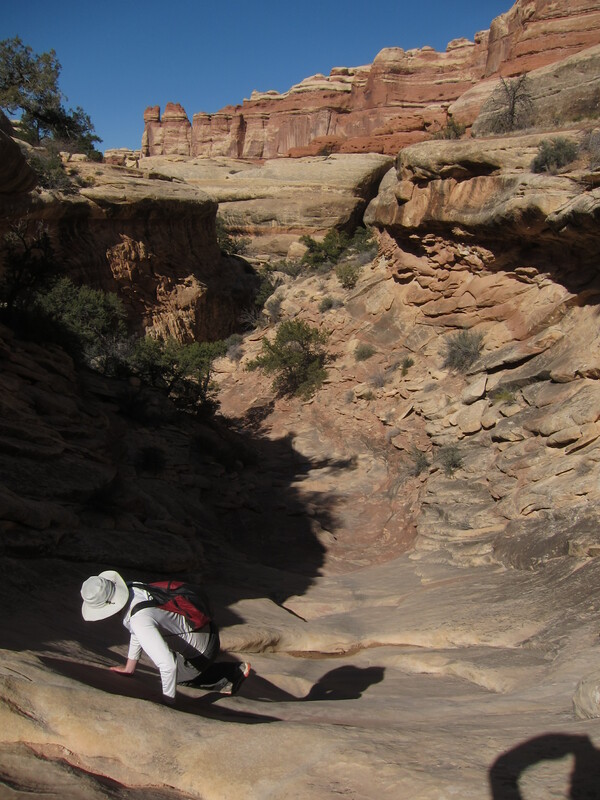 There is water in Canyonlands, and Salt Creek Canyon is a reliable place to find it. On our way to the Salt Creek 4 campsite, we crossed Salt Creek 61 times in one day, and we repeated all 61 crossings the next day. While tiring, this allowed us to experience a more remote area of the park. We were certainly not thirsty! Over millions of years, water has shaped the soft sandstone in Canyonlands to form a tremendous variety of beautiful shapes, including mushrooms, arches, needles, canyons, slot canyons, and washes. The terrain is a visual feast and a hiker’s playground. A good topo map is important, though. It’s easy to get lost in all the geology. We especially enjoyed the Needles, which is a collection of towering rock pillars, and the Joint, a slot canyon just wide enough to walk through. 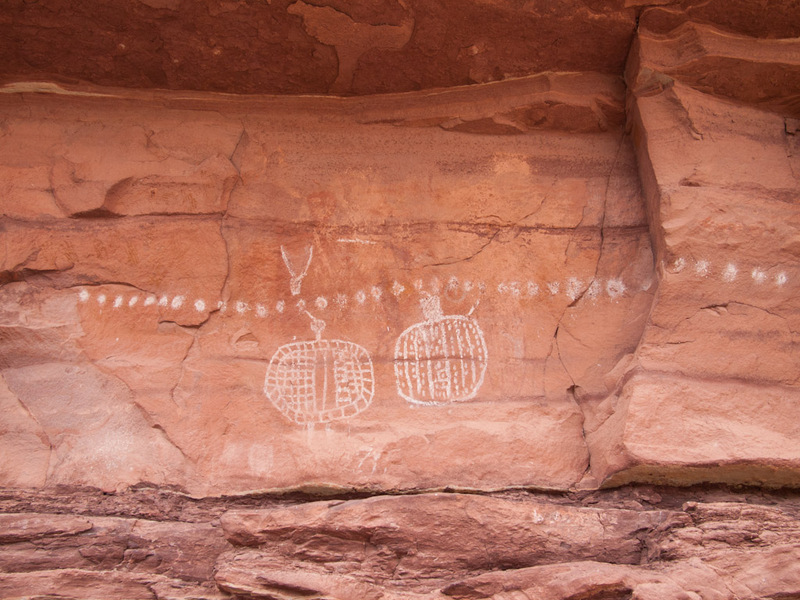 Beyond its geological sculpture, Canyonlands also contains human art in the form of ancient Puebloan pictographs. The pictographs range in age from hundreds to many thousands of years old. The meanings have been lost, but it is compelling to speculate, and to view something so mysterious but also strangely familiar. This was a challenging trip, but very rewarding visually and aurally. Plus, hopefully we toughened up our feet a bit for the PCT! What a great trip. You guys are so lucky to have any trail in a national park to yourselves! Those microspikes have saved me many a time. Super fun to have some control in precarious situations. It is dumping snow in the Sierras this weekend. Good for you guys. Love the Big Dipper between the needles. Your description of the Microspikes is exactly what we found: They turned a potentially dangerous walk into a totally solid and fun one. We are total converts now! Speaking of snow, looks like the Sierras got a few feet, great news. Glad you like the Dipper photo. I (Chris) was really excited to spot it, and then I worked hard to make sure everything lined up right. Cheers! Cool, thanks for sharing the post with others! Yes, in the dipper & the druid pics, can see how U2 line up photos w/an artist’s eye! Sometime, off the mountains, you might want to check out a book called, The Wild Trees that I’m reading right now. People climbing to the tops (350+ ft.) of redwoods. Fascinating layers of ecosystems including dense fern beds & secondary tree systems WAY up high! I had been wondering if you would be doing any rope climbing. Your microspikes somewhat answered my question, but are you carrying rope, too? Thanks Margaret, sounds like a cool book. Redwood forests are amazing places. I didn’t realize there was so much going on in the upper reaches, though! Sometimes ropes are useful in canyon country, but we didn’t need any for this trip. 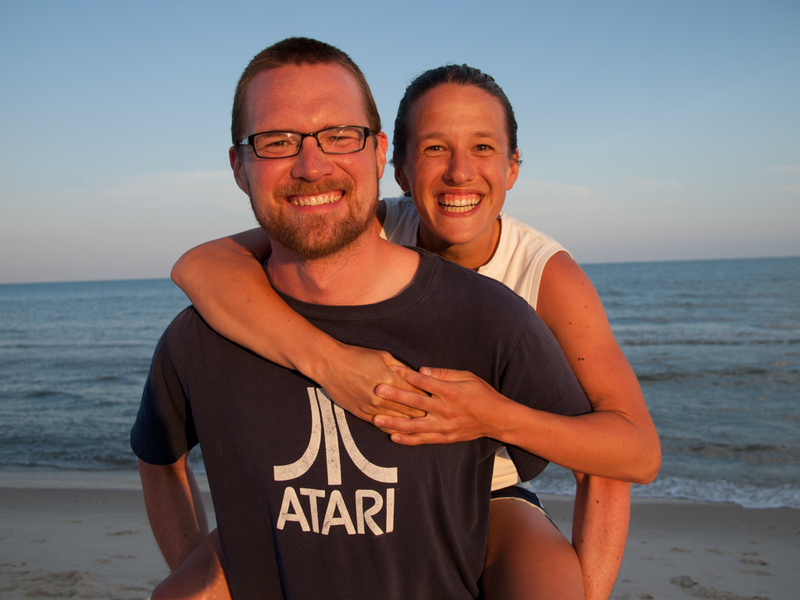 Generally speaking we are hikers, not climbers, though people do ask us occasionally if we are climbers. Maybe it’s something about our attitude, I don’t know. Question: Did you select this (angel/bat) icon, or did the computer do it automatically? It’s automatic, so you never know what monster you will get! Thanks Mom! I was excited about this entry because I really wanted to share some of that feeling. It’s not something most of us get to experience often, if at all, but I feel it’s very important. There’s a re-connecting both to oneself and to nature that can happen in remote places, that is hard to find elsewhere. It’s a big deal! Amazing! The PCT is a future goal of mine, although I have no idea when it will happen, some day when my kids are grown and out of the house maybe. You and your followers may like my blog I just started about 6 friends all starting backpacking together with no idea what we are doing! That’s great, good luck to all of you! Looks like you are already having some cool adventures and there’s a lot of beauty around you. And don’t give up hope, people of all ages do the PCT. Beautiful! I love both the text and the photos. Thank you! Thank you Mary, so glad you loved it! It’s our pleasure. 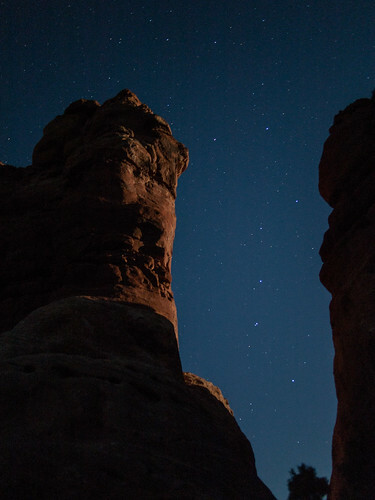 Excellent photos, particularly love the Big Dipper. Question about water – do you guys use a collapsible bladder to carry that much water? We have a 4 liter platypus that we would probably use in a situation like that. Thanks Charles! The Dipper image was the most exciting to discover, it felt like a real find. We do carry Platypi, but only the 2-liter versions (we each carry one of those). To supplement those, we carry 1-liter Gatorade bottles, which are made of solid plastic but are still lighter than a Nalgene. They’re quite reusable, the wide mouth makes it easy to pour electrolyte mixes into them, and they’re easy to find if you need more. Also, Platys can develop holes, as one of ours did on this trip, so the bottles are a good backup. You can fix a Platy with duct tape, which we also did on this trip, but depending on the failure, that might not be possible. One Platy and two Gatorade bottles fit well in most packs, and that was perfect for Canyonlands. For Southern California section of the PCT, we will need even more water, so we’ll have a few bottles each! Lovely photos. Great narrative. Looking forward to more. Cheers! Thank you Suzanne, definitely more to come! Thanks Autumn, did you see any when you were in Arizona? They left me wanting to see more, for sure. Thanks Dan, we can’t wait for our next adventure (as usual)! Thanks Mags, I’m definitely curious to hear howler monkeys! 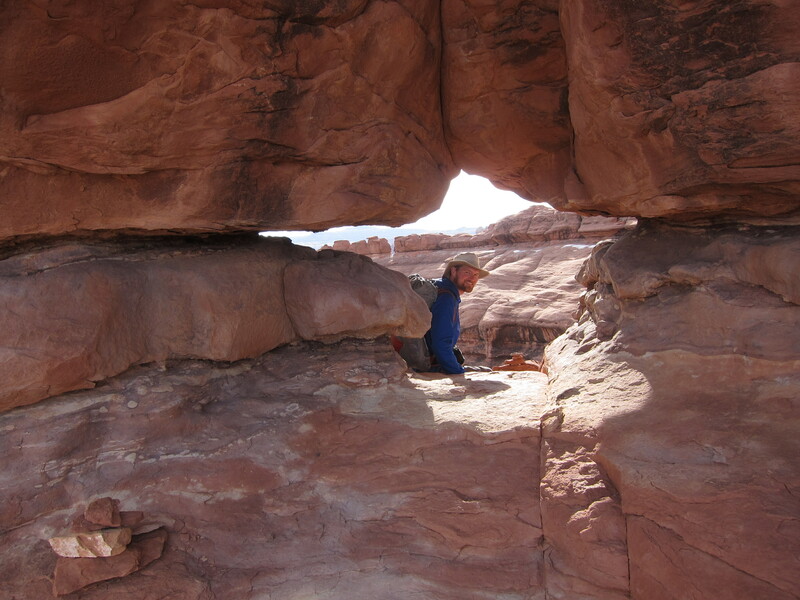 But yeah, maybe you can work Canyonlands into your schedule (or Capitol Reef, which I’ve read is awesome too). Let us know when you have a wall again, and prints will be forthcoming, haha. Your photo of the Big Dipper is exceptional. What camera did you decide on? Thank you Gman! Sometimes the world presents you with something you just feel you need to capture, and that was one of those moments. I pre-ordered a D800E the day after it was announced, so fingers crossed, it will arrive before we begin the trail. I can’t wait to get my hands on it. Love the photos and the story. One day I hope to camp where you guys been to… Looking forward to reading next one! Thanks Yoon, good to hear from you! You and David will love Glacier, I am sure of it. Hope all is well in 305! I am living in SLC. 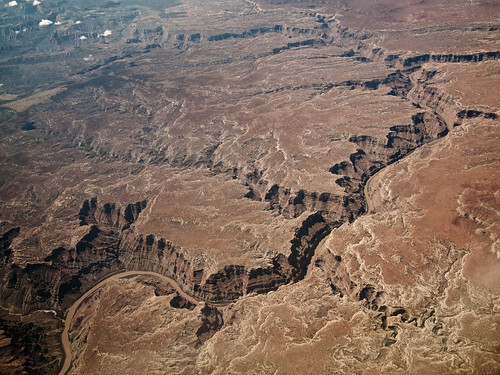 I plan to head to Canyonlands this month or next for a practice trip and gear shakedown! Awesome! Enjoy your time there. We found short practice trips to be super helpful when trying out new lightweight gear. We’re actually planning to go back to Utah for more hiking sometime this April. We haven’t decided which park we’ll explore yet. Let us know if you have any favorite spots.